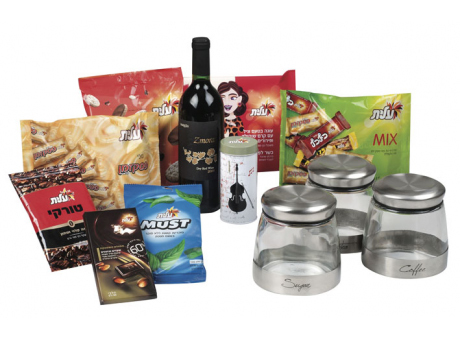 Delicious selection of wine and chocolates with the special addition of storage canisters for tea, coffee and sugar. All items are Kosher for Passover - Rabbanut Hechsher. Some items may be Kitniyot.